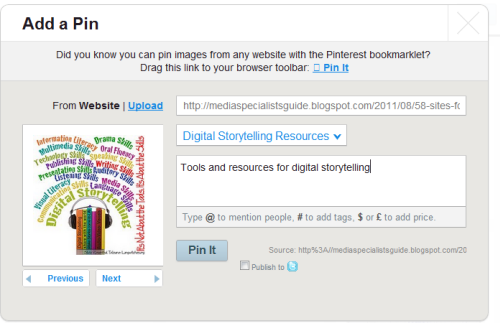 It’s tool time, so today’s post is about Pinterest, a social curation tool. Pinterest is a curation platform with a specific focus: to help users collect visually rich web pages or uploaded images (“pins”) on pages called “pinboards,” connecting objects to associations meaningful to the user. In their About page, the folks at Pinterest describe how people ” use pinboards to plan their weddings, decorate their homes, and organize their favorite recipes.” But people also use Pinterest to organize design inspirations, illustrations, paintings, tech tools, favorite books, among other “objects,” which is why it has its place as a learning tool as well. 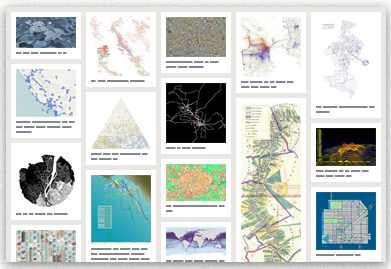 A pinboard by Pinterest user Sha, collecting design inspiration for his work at Trulia. Pinterest is in beta, so the tool is evolving. Registration is free and currently requires an invitation. When you first login to Pinterest, you’ll be asked to identify interest topics from a group of possibilities. Based on the interests you select, you’ll automatically start following people who’ve made pinboards matching your interests. You can delete any of these people or choose to follow only a subset of their pinboards. You can also suggest pins to people you follow. 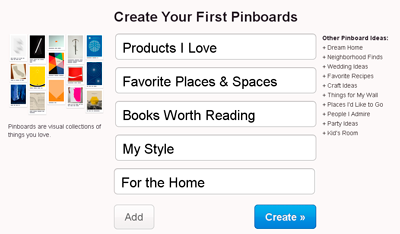 Even after you’ve created your first board(s), you’ll continue to receive prompts each time you create a board. I’m showing these to give you a feel for the number of uses a pinboard can have. None of these categories are locked in; you can make liberal use of “other.” You can also make curation a social affair if you check the “multiple people” option under who can pin. You can pin Web pages while you’re in the Pinterest site or while you’re browsing the Web. In the latter case, you make use of a Pinterest bookmarklet. 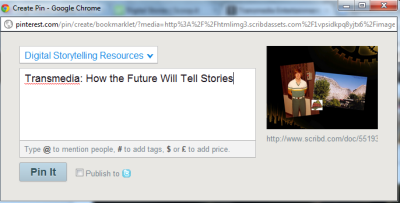 The bookmarklet prompts are shown below. You can select which image on a Web page will be displayed on your pinboard. You can share immediately to Twitter, but you’ll also have an additional option to do this when you receive a success message. At this point you can share to Facebook as well. You can select the image on the Web page you want to post, share the pin immediately on Twitter and add a description, just as you could when pinning via the bookmarklet. You’ll also be given the option to add a comment once you’ve pinned your item and additional sharing options (via Twitter, Facebook, or StumbleUpon or via email). Finally, you have the option to obtain code that will allow you to embed a pin on your website or blog, as I did below. My final pinboard looks like this (right now). 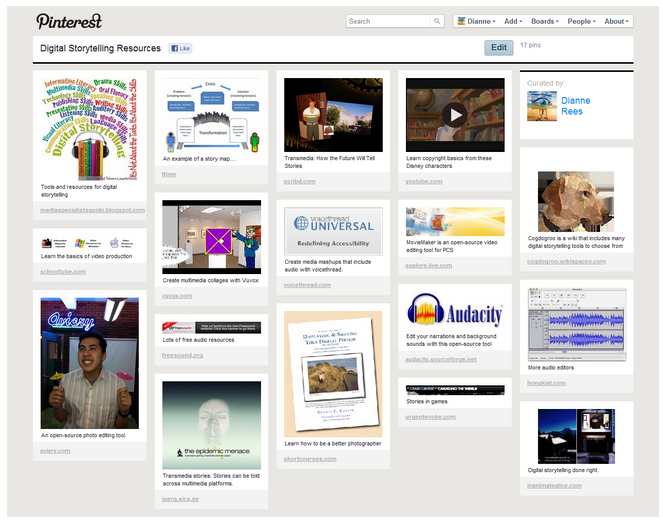 You can access it here: Digital Storytelling Resources. Note that because Pinterest is designed to curate objects associated with visual artefacts, there will be some pages you can’t pin (pages without large enough images or Slideshare pages, for example). I look at curation platforms as tools for metacognition, helping the curator to make sense of information through opportunities for organization and reflection. 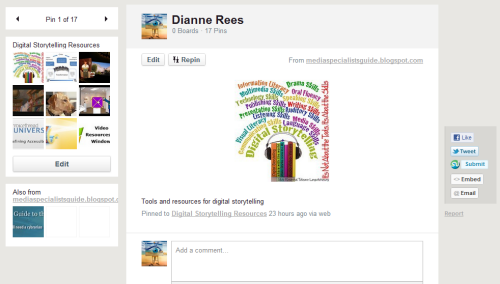 Pinterest, like other social curation tools, allows you to share curated items, pages, and to comment on others’ pages. By finding and following other curators, you can expand your personal learning network. A particularly nice feature of Pinterest, is the ability to mashup Web page pins with uploaded images on the same pinboard and the ability to allow groups of curators/learners to work together to develop a pinboard. You may be tempted to compare Pinterest to Scoop.it (which is a highly lovely tool and probably further along in the development process). However, Pinterest has a different focus and one that I didn’t fully exploit in my first pinboard. Pinterest is especially suited for curating visual artefacts. You can use Pinterest as a tool to collect artefacts illustrating particular concepts and to encourage learners to create their own pinboards to demonstrate their own understanding/interpretation of particular concepts. 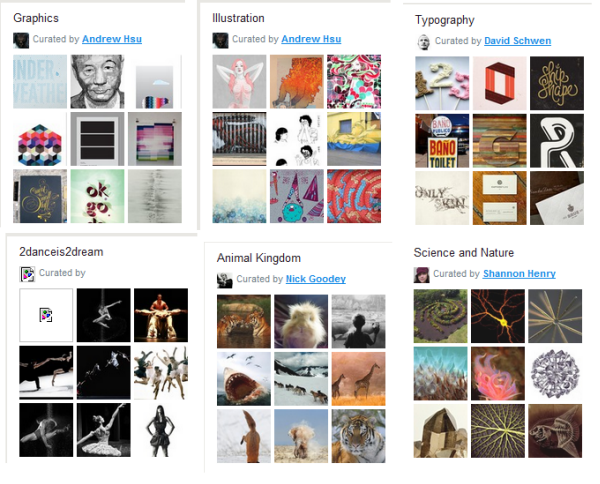 Some examples of pinboards created by adept Pinterest users are shown below. 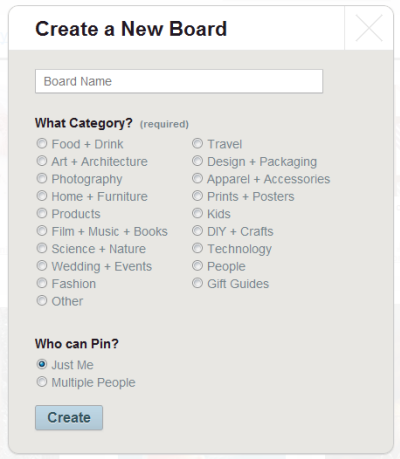 I think Pinterest has its own niche among curation tools, and it will be interesting to watch this platform develop.